$ 585,000 a 1 bedroom, 1 bath 478 sq ft., Extensively remodeled with wood flooring, stainless steel appliances, custom cabinets, quartz counters, updated bath. bath, oversized deck. $660,000 1 bedroom, 1 bath approx. 830 sq. ft. No stairs with this ground floor unit, good views, oversized deck. $539,000 1 bedroom, 1 bath approx. 533 sq. ft. Updates include new plank flooring, stainless steel appliances, granite counters. Ocean Harbor House Condo Sales in 2017 One bedroom condos. 125 Surf Way #339, Monterey sold for $417,000 after 7 days on the market for full list price. Closed 9/30/2017 1 bedroom, 1 bath 511 sq ft.. Ground floor condo, lots of light and right outside the pool. Conventional loan. $435,000 1 bedroom, 1 bath approx. 511 sg ft., direct access to pool, furnished with great vacation rental history. 125 Surf #312, Monterey sold for $465,000 for full list price after 3 days on the market! Closed 6/8/2017 1 bedroom, 1 bath, approx. 513 sq ft. on the ground level. Has new paint, carpet and floor. Conventional Loan. 125 Surf Way #315, Monterey – sold for $515,000 with a list price of $535,000 after 67 days on the market. Closed 3/10/2017 1 bedroom, 1 bath approx. 515 sq. ft. ground floor unit. Conventional Loan. 124 #316 Surf Way, Monterey sold for $600,000 with a list price of $599,000 after 8 days on the makret. Closed 10/30/2017. One bedroom, one bath approx. 585 sq ft. End unit, no stairs with good views and parking close by. Very upscale remodel with such things as sub zero frig, Thermador cook top. 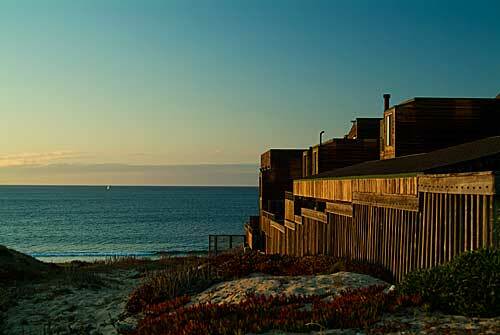 125 Surf #410 Surf Way, Monterey Sold for $675,000 full price after only 15 days on the market. Closed 11/22/17 One bedroom, one bath This is a very spacious one bedroom – 830 sq ft. Well maintained with great views. 1 Surf Way # 117 Surf Way, Monterey Sold for $775,000 which was above the list price of $765,000 after only 16 days on the market. Closed 5/18/2017 One bedroom, 1 bath approx. 718 sq. ft. Beautifully updated with incredible views! Key Takeaway: 5 Two bedrooms sold at Ocean Harbor House in 2017 Prices ranged from $729,000 to $900,000. The better the view, the higher quality of updates – the higher the price! As to be expected, the highest price 2 bedroom which sold $900,000 had fantastic views and was beautifully updated. Also to be expected, the price for a condo at Ocean Harbor house is based first on the view and then on if it is updated and the quality of updates!